Antonio Norman, 37, was employed as a landscaper with Gail Nurseries. He was a passenger in his employer’s truck when it was rear-ended by a tractor-trailer on I-476. While Mr. Norman struck his head on the driver’s side window, he was not cut or bruised, and the truck he was occupying sustained only relatively minor property damage from the accident. Mr. Norman complained on the day of the accident of a headache, which he thought was resolving. Over the next month, Mr. Norman became dizzy, disoriented, and suffered memory lapses. About seven months later, he was diagnosed with a traumatic seizure disorder (i.e., epilepsy) and a mild traumatic brain injury. He continued to have periodic complex partial seizures, requiring him to surrender his driver’s license. His seizures, continuing headaches, and other symptoms prevented him from working. Attorney Alan M. Feldman brought a lawsuit on behalf of Mr. Norman and his wife, contending that his injuries, although not diagnosed until some months later, were caused by the motor vehicle accident with the tractor-trailer. The defendants vigorously defended the case, claiming that a minor head injury without loss of consciousness could not cause a traumatic seizure disorder. 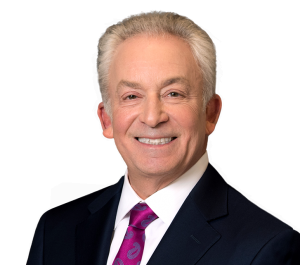 Intensive preparation by Mr. Norman’s Feldman Shepherd team of lawyers included securing favorable testimony and expert reports from one of Philadelphia’s top seizure specialists, other prominent physician experts, and the President of the Brain Injury Association. Shortly before trial, the defendants finally agreed to settle the case for $2.5 million.